The chocolate bars in the travel collection are inspired by ingredients and cuisines from around the world. S.K. 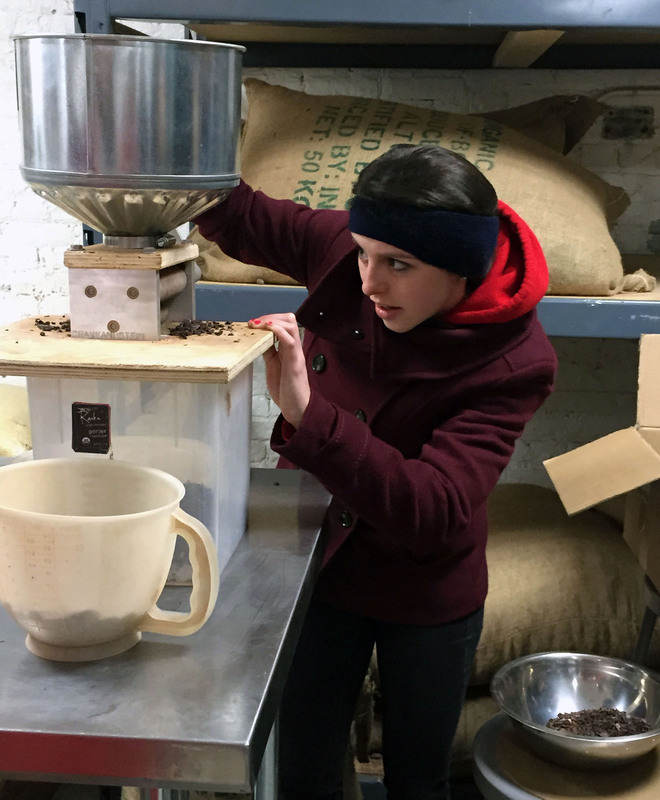 Frey creations are made in small batches with attention to ingredients, techniques and details. They are meant for savoring, giving and sharing. Gastronomy is the intersection of food and culture. Sally teaches food and cuisine through the lens of sustainability while bringing the definition to life through S.K. 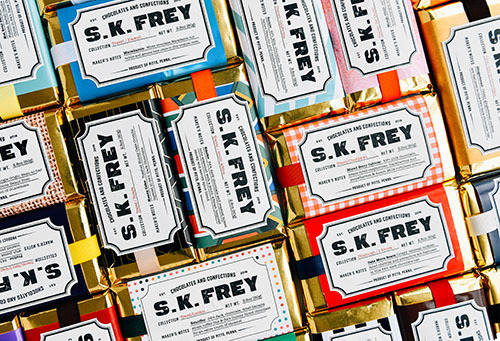 Frey chocolates and confections. Sally is a professor of practice who takes an innovative approach to incorporating hands-on experience into her academic courses in Food Studies. 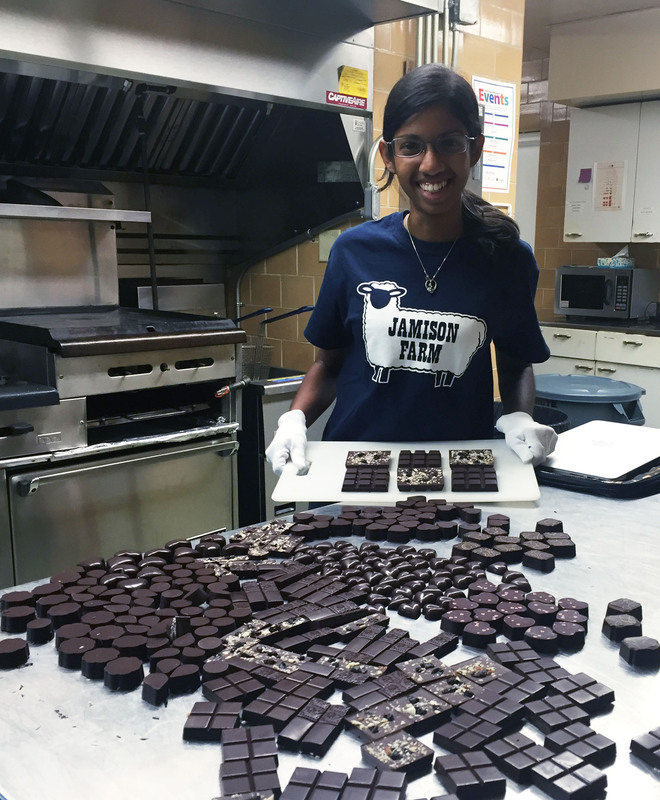 Her students regularly take field trips, practice culinary skills in the kitchen and work on real world projects with local businesses.